Confirmation of Classes for the rest of 2015…At this #4 Event, you will confirm your Class for the remainder of 2015. WE shall determine what we will do with the Tobago Event, where the course, though similar in design, is not the same in length. We shall speak about this later on when we address the details of the Tobago Event. Rules sent out… any questions? Please email us the queries so we can address in the shortest possible timeframe. Remember we are counting 7 of 9 for EOY Championship so you drop your two lowest scoring events. Taking feedback from our competitors, we called that meeting held on 2nd July, where many did not attend, and Trophies, were handed out….maybe we should have made that a points event also! So how will your weekends look in the coming weeks? AutoSport’s D&W Event #4 will be held on Sunday 26th July. 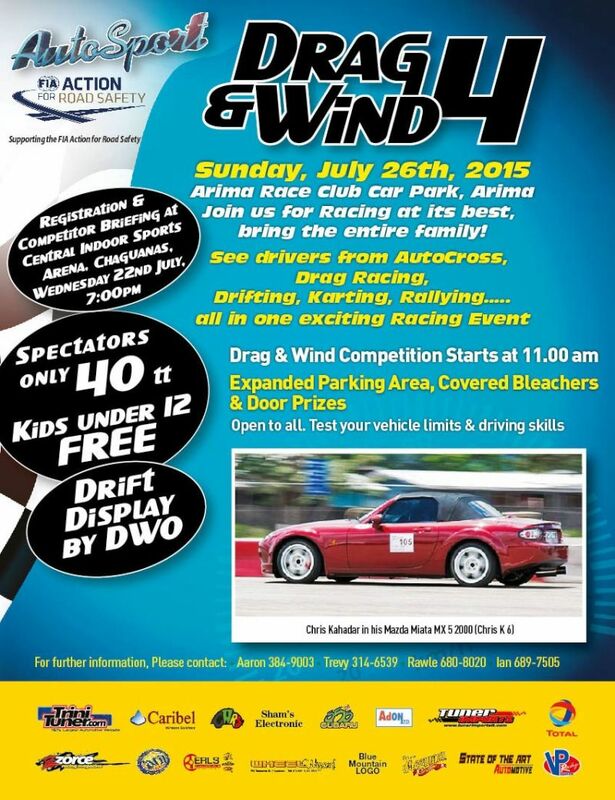 AutoSport’s D&W Event #5 - in TOBAGO on the 1st -2nd August. And D&W Event #6 will be held on 16th August back at the ARC location. And then this… we shall be running the competition for a new Box Kart Derby at Jean Pierre Complex on Sat. 22nd August, staged by Pudgy Productions. More on this shortly. D&W #7 will be 20th September. D&W #9 and 8th November. Duane 3NE 2NR wrote: ^ nice!!! With some good footage and maybe another drone, this can be incredible. Last edited by AutoSport on July 25th, 2015, 8:14 pm, edited 4 times in total. Going to have to change the rules just for you - Pete A late entry fee - $5000.00. AutoSport was able to stage a very successful D&W #4 Event with 48 competitors. Another good event and great to see more competitors coming back to D&W. One problem i think,if guys are to be running for a championship one run finals as compared to two best in three is unfair. This use to be done with 60+ competitors at one point. was hoping to make this event..
dubcity wrote: Another good event and great to see more competitors coming back to D&W. foss wrote: was hoping to make this event..